Swimming has always been more than just a sport or a skill to me. In the past, I was a competitive swimmer as well as a life guard with 4 years of experience. Swimming became a lifestyle. I can’t imagine a life without knowing how to swim and I would like to spread this knowledge and passion to as many people as I can. 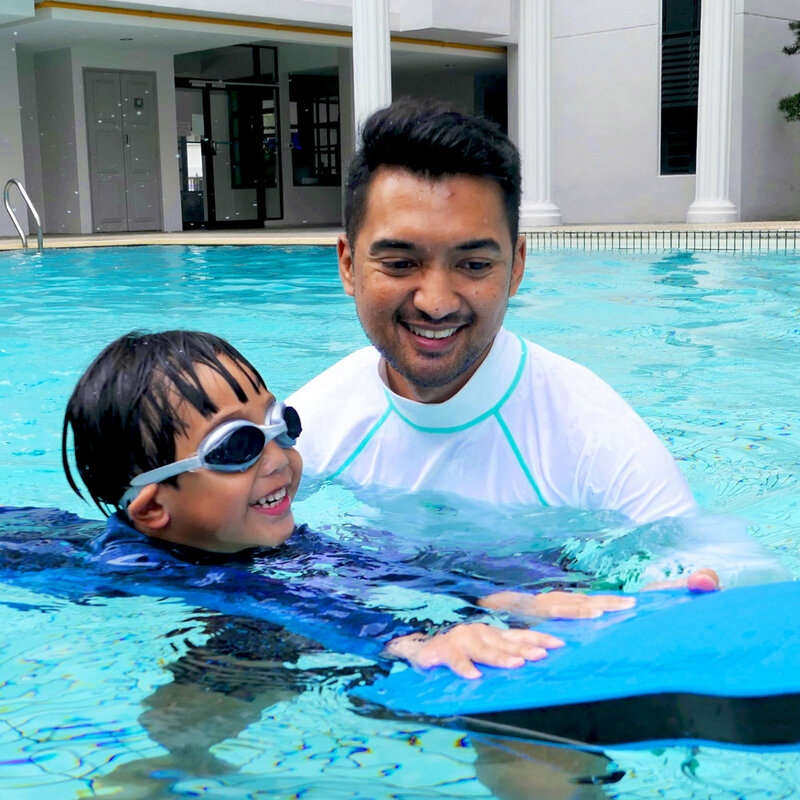 I believe with my love for swimming and my focus on water safety, kids would really thrive in my lessons in a fun, effective, and safe manner. To teach my students well, I believe that their confidence in me is crucial. Swimming may be a difficult skill to pick up for some, but it can be made easier if my students trust me at every step of their learning journey. 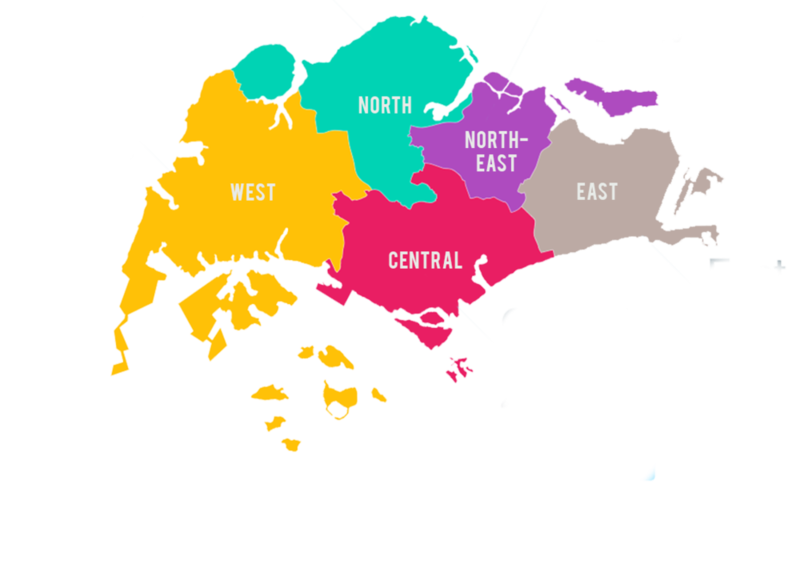 Knowing this, I aim to create a fun but firm learning environment to ensure that children look forward to coming for class while also ensuring their safety in the water. Knowing how to swim is an essential life skill that most of us at one point in life, would want to have because it is not only a survival skill, it is also a common form of exercise and a social activity. Having had 8 years of experience as a competitive swimmer, I’ve gained much insight into the mechanics of every stroke and know the downside of training fatigue, Thus I like to keep lessons fun so that the passion and interest is not lost after each class. I also had prior training in child brain development and I use what I've learnt towards bridging lasting and nurturing bonds with my students. Being a swimming instructor is so fulfilling! It’s a great joy to impart water skills to more people, helping them to acquire an important survival skill in life. I am very good with kids and I love devising creative new ideas to teach swimming, making it a fun and stress-free environment. Hi, I'm Eunice! I’ve always been passionate about swimming and getting to teach this life skill to children and watching them progress in the water is really satisfying and special to me. 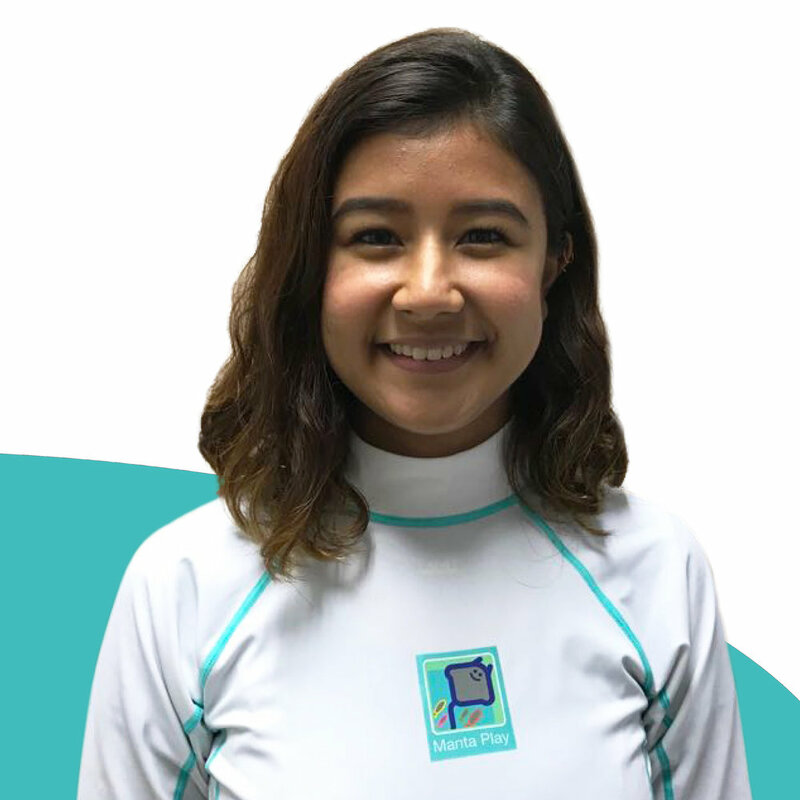 I am passionate about working with students to help them achieve their goals and even though I am a qualified swimming instructor, I will continue to learn and adapt to different teaching environments. On top of providing fun and engaging lessons for my students, I'm committed to ensuring the safety of your child in the water. You can be assured that your child is in good hands with me! I love teaching a life skill that I firmly believe everyone should know how to do. I love taking the time to get to know my students, to communicate with them and fully understand their strengths and weaknesses in water. I believe that everyone has different learning curves, and patience is really an important factor in teaching. It's the greatest feeling to see my students learning to swim and become confident in the water with my guidance. I show my students that learning to swim is a fun experience to be enjoyed and not feared, often reminding them that "Water is our friend." I’m a believer of lifelong learning through fun and laughter. Coaching is not all about imparting skills but also developing self confidence and unleashing individuals’ potentials. As a parent, I understand the needs of children and value the time spent with them. It is a joy to see children grow and be confident of themselves. Their smiles always give me a sense of fulfilment and motivates me as a coach. 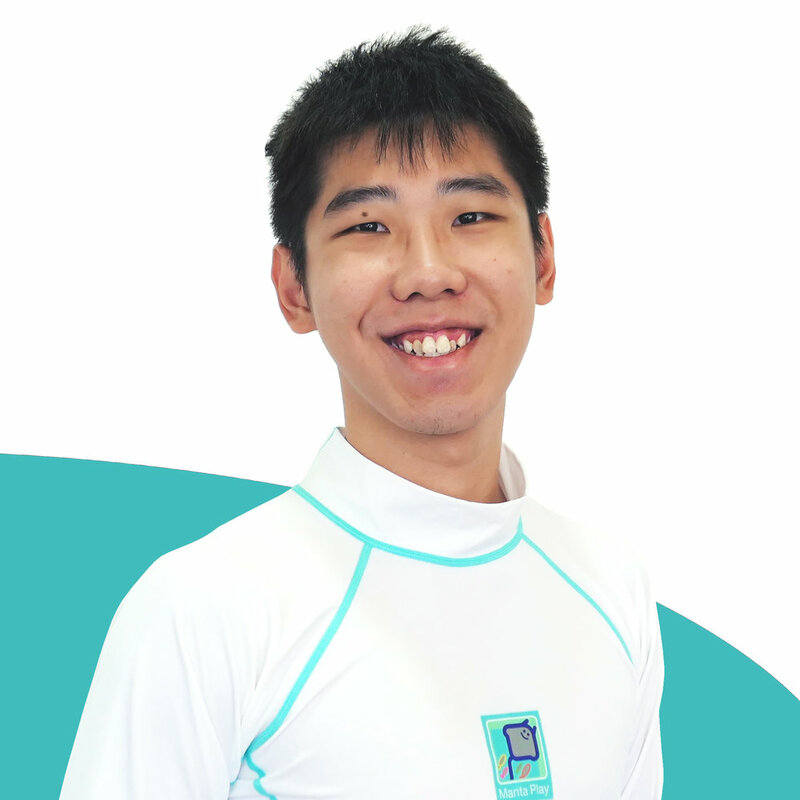 I believe that swimming is an essential skill for everyone, and as someone who used to swim competitively, my personal goal is to put my knowledge to good use through teaching others. I strive to understand each of my students’ unique needs as best as I can, so that I can tailor my lessons to make them as effective as possible for your child, while also ensuring that they are both fun and organised for easy learning. I believe in the importance of water safety and, I think it's important for everyone to be equipped with the skill sets they need to be confident of themselves in the water. I have a special heart for children, and it's truly a happy honour for me to be able to teach them what I've learned and experienced of my time as a swimmer. I see kids as my friends, friends whom I'm dedicated and committed to helping as much as I'm able to. Having enjoyed and still enjoying the health benefits of swimming for more than 30 years, I am keen to share its joys with others, young and old. Before being able to swim a stroke well, I firmly believe that one should learn water safety first. As a former teacher with more than 30 years of swim experience, I'm able to teach my learners to swim competently and safely with step-by-step and easy-to-follow instructions. Looking forward to meeting you! Swimming is a life skill that I acquired at a very young age. After sustaining several injuries from NS and other exercises, I returned to swimming for rehabilitation and rekindled my passion for it. I absolutely love the sense of floating in the water, being weightless and free, and I feel that everyone should be able to experience that freedom. If you are interested in learning to swim, I would love to be your swim buddy! Swimming is a skill that I treasure, a unique form of physical activity that gives you both a sense of calm and focus, all at the same time. My goal is to help my students find this same calm and focus through swimming, helping them to build their confidence and a strong foundation of swimming and water safety skills. I'm a strong believer in creating an effective learning environment for my learners, based on trust, fun and, most importantly, safety. To me, swimming isn’t just a sport, it’s a life-saving skill as well. With the experience that I have, I will be able to help each student thrive in the pool and ensure that they learn in a safe environment. I hope to give students an awesome time in the pool by focusing on giving each of them the attention they need to learn at their best. Nothing is as relaxing and freeing as being in the water! Whether I'm swimming or just splashing around, it always brings me a special kind of joy, one that I love sharing with others. I also have plenty of experience with caring for children, and with my abilities and love for them, I'm confident I can gain your child's trust and be a competent, faithful guide for them as they take their first steps into the pool! I have about 5 years of experience in teaching, and I love being able to guide others, to share my skills and knowledge with them. I'm passionate about keeping fit and staying active, and I especially love being outdoors and in the sun! 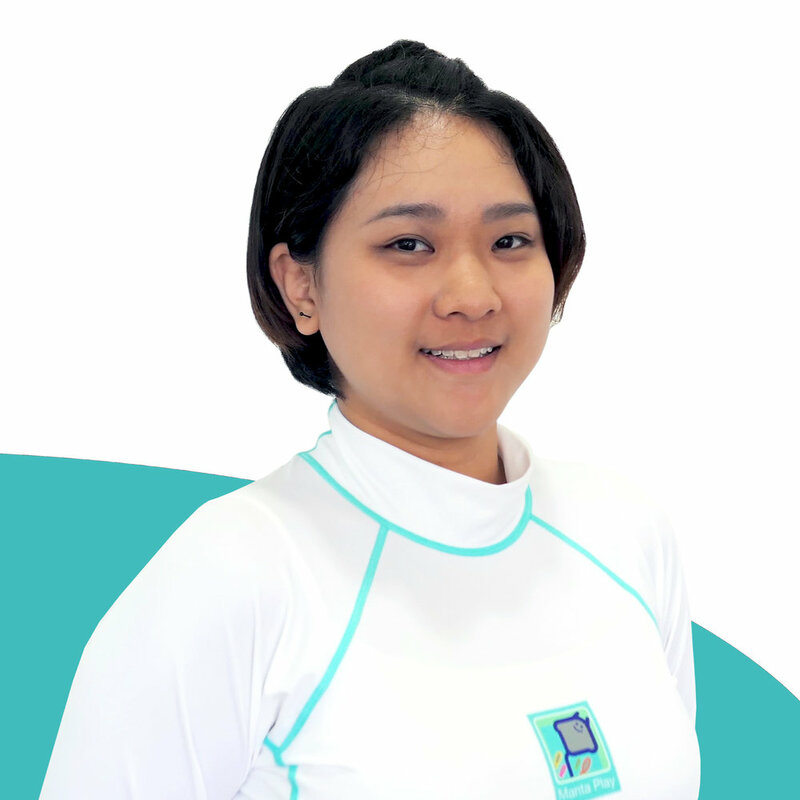 I'm also able to conduct swimming lessons at flexible timings, so as to cater to clients with busy schedules. As a swimming teacher, I always strive to go the extra mile for my young learners. I take pride in teaching and believe that my teaching philosophy and personality will help inspire and nurture my students to the best they can be. Swimming is not just a sport, it’s also a life skill that not only helps to save lives, but helps to build strong character and a healthy competitive spirit in each of us. I make sure to emphasise a lot on pool and water safety, so that you can rest assured that your kids are in good hands. Swimming is a valuable skill that stays with an individual for life. I enjoy swimming and, more so, I love teaching swimming to others -- coaching them and imparting important knowledge and skills to them, and instilling confidence in them with everything they learn. I will go the extra mile to ensure my students enjoy their swim lessons with me by introducing fun elements so that they are able to fully engaged with every part of their classes! Hi! My name is Jeryl and I'm currently a competitive LifeSaving swimmer. All my life, I've absolutely loved being in the water, and this led to my decision of teaching swimming and water safety to share my passion with others, and also to potentially save lives through teaching this valuable knowledge. I have worked with students of all ages, from pre-elementary kids through to adulthood, and I specialise in teaching complete beginners, as well as stroke techniques and refinement. I love to help people and I love forging positive connections with others. If you are interested in learning to swim for yourself or your children, I would love to be your Personal Swimming and Water Safety Teacher! Swimming is a life skill that students of all ages can pick up and I believe that I have the skills and experience to bring them along on this learning journey. Being a father of 3 kids of my own, I know what motivates at different stages of their lives. This has helped me shape my coaching methods to each student by taking time to understand their individual learning needs. I have been working as a relief teacher and swim coach for many years. I love my job as I strongly believe in work-life balance and constantly improving myself while still imparting knowledge to the younger generation. With my experience in teaching children of various age groups, I am able to incorporate comfortable, fun and interactive activities into my lessons. I’m a former tutor who loves teaching because when my students overcome difficulties and make progress, I feel a great sense of achievement. I decided to take my skills to the swimming pool because I believe that swimming saves lives! Every child can learn to swim, regardless of age and ability. I also understand that different kids progress at different paces, so I endeavour to be patient at all times and celebrate every bit of progress with my students. I strive to keep my classes playful and fun, so that every little face is always smiling in my class! I love swimming and I want to impart that knowledge to non-swimmers, young and old. I'm a patient person, and I think that helps me to teach effectively. Being a mum of 3, I know how to nurture a child in their growing years, and how to translate that knowledge to teaching adults as well. It's so satisfying to see my students growing in self-confidence and self-esteem as they grow in strength and knowledge both in and out of the water. 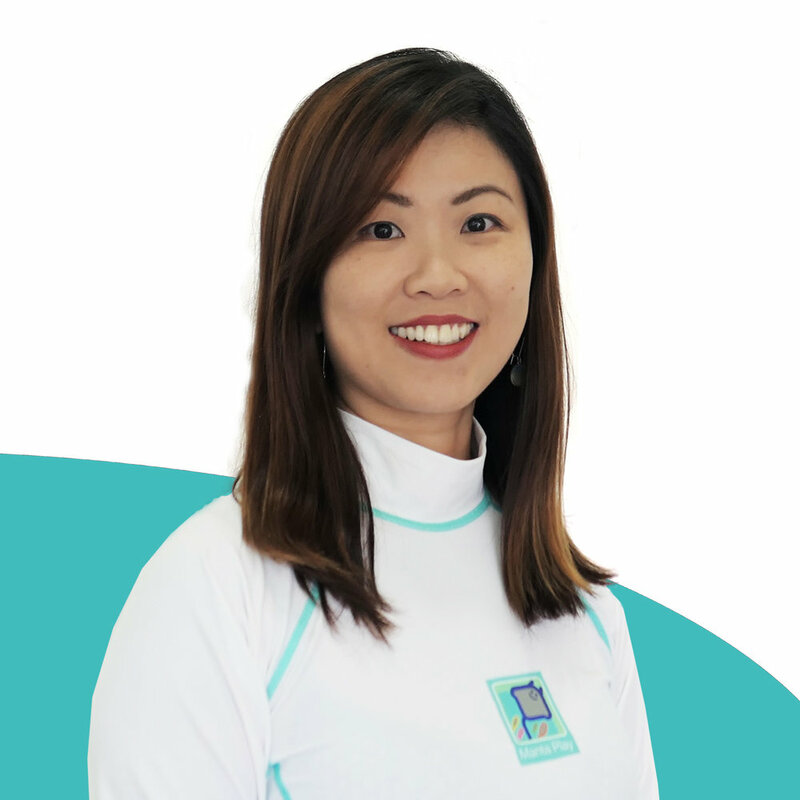 I have a decade of award-winning competitive experience in swimming and water-polo, participating in the various Inter-School and Army Division competitions. I've spent much time in previous jobs interacting with underprivileged young children and senior citizens, learning and honing values such as patience and empathy, and eventually discovered my love of teaching. 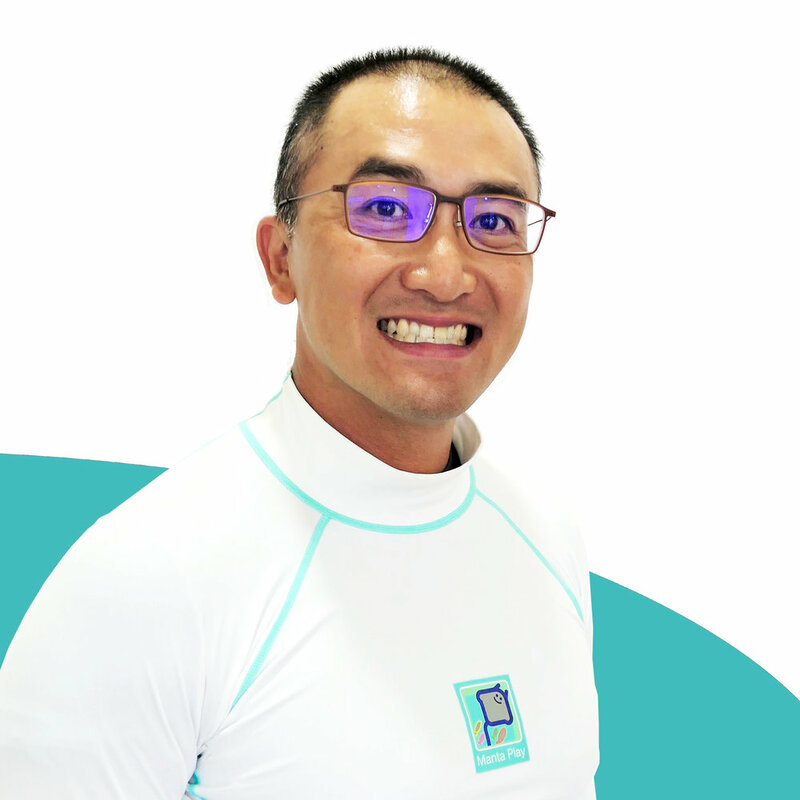 Equipped with the proper swimming knowledge and experience in dealing with different age groups and personalities, I sincerely believe I can empower my students to achieve and maximise their potential! In addition to my love of swimming, becoming an instructor allows me to impact the children I teach in order to determine the outcome of all of our future athletes. I prioritise happiness in learning over compulsion. Children that enjoy swimming will learn better and work harder to become their very best! I think swimming is an essential survival skill to have at any level and any age. I love being in the water and I treasure the opportunity to be able to impart my knowledge of swimming and water safety to others. I love to see people grow and develop as they learn new ways to refine their skills and have fun in the water. I'm confident that I will be able to make lessons exciting and engaging for your child to enjoy swimming! I take great pride in building up and improving one’s swim proficiency in a progressive and enjoyable manner. Every swim lesson, I employ appropriate training methods to bring out the best in every individual. Each swim journey will build up the confidence of the learner through their strengthened and disciplined character, which can be made possible with regular communication and constructive feedback. I used to teach sports to toddlers and children and that was when I discovered what I really wanted to do with my life. Looking at the progression and smiles from all the kids just gives me a great sense of joy. 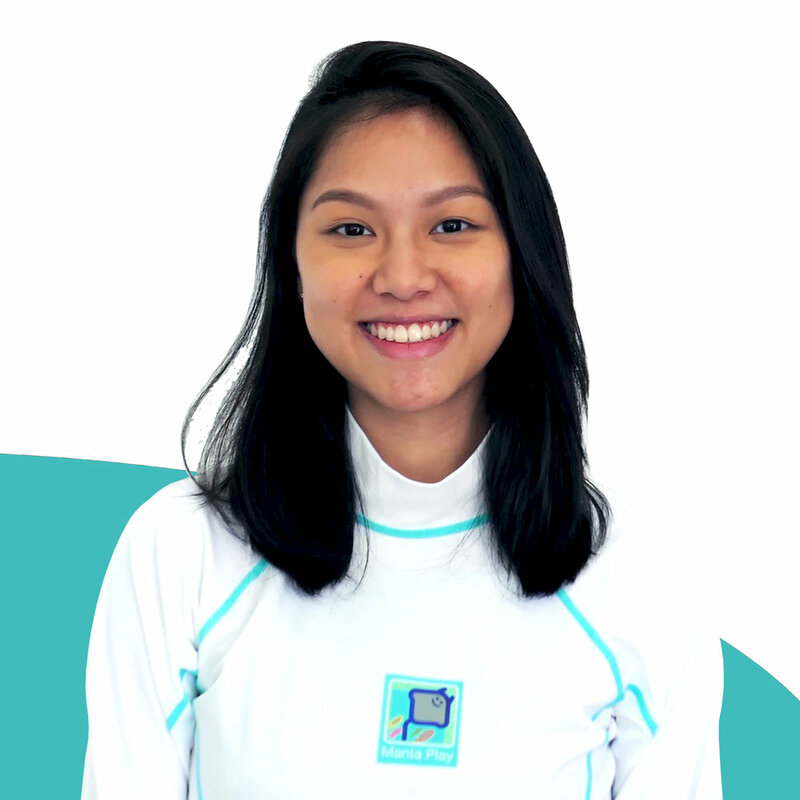 With my experience and passion in teaching and working with children, I am confident in bringing a fun-filled and meaningful experience to all my swimming lessons. I think swimming is a wonderful hobby, and I am passionate in imparting that knowledge to my students. More than just a form of exercise, swimming is a crucial life-saving skill which instills dedication and perseverance in children. Every lesson is customised to the child’s pace of learning and made fun and engaging! With my patience and attention to detail, I will ensure that children learn in a safe environment and master the right techniques. I believe that being able to swim is an important skill and children should be taught to be water-safe and confident from a young age. As a lifeguard, I was taught to have a strong sense of awareness, alertness and to have an eye for detail. 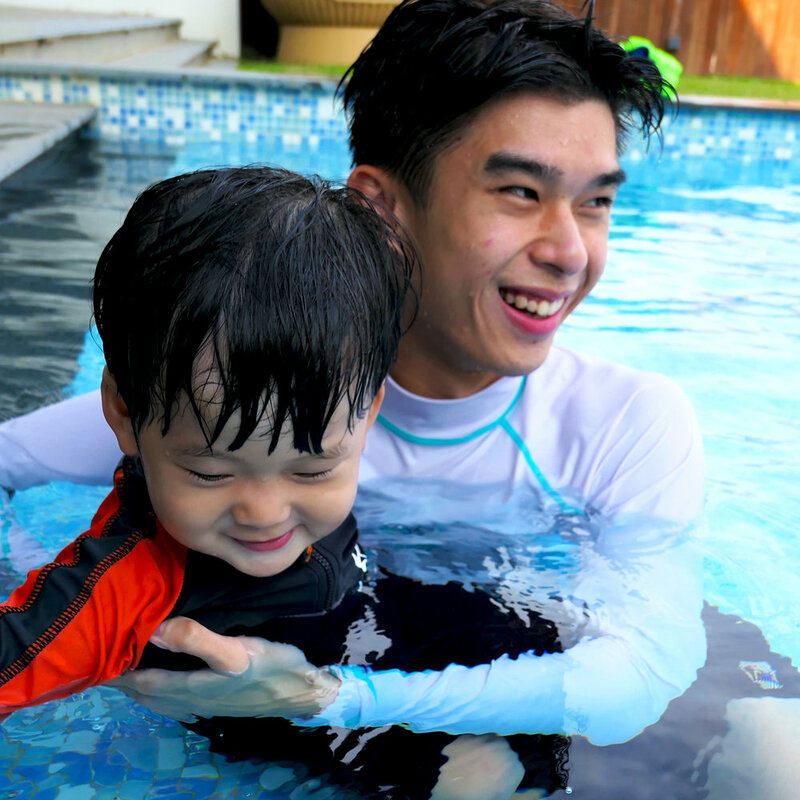 Together with my love, motivation and patience towards children, I strongly believe that I can impart good strong swimming mechanics to your child through a fun and enjoyable environment. I love sports because I love to stay on the move! I especially love water sports because knowing how to swim is not just a fun activity, it's also an important life skill. Being a swimming teacher gives me a sense of pride and accomplishment, especially when a learner under my guidance manages to overcome their fear and swim a stroke well :) I love having fun and helping others, and I can't wait to do the same with you and/or your child as your swimming teacher! I love water, I love playing, I love water sports and I love teaching. In teaching swimming, I get all of the above. I want to advocate water safety, teaching people about it just as I did for my own children. I'll treat students as my own, making sure they enjoy learning, playing, and doing sports at the same time, with their safety as my number one priority. As a triathlete and father of 2 young boys, I have strong passions for swimming and also for teaching and connecting with young kids. Water safety is my TOP priority. I understand the fine balance between being fun and being firm to ensure that my students not only enjoy their lessons with me, but also make good progress with their skills and abilities. I'm confident that I can effectively and safely teach students of all ages (both young and old) to be water confident, develop competent swimming skills, and to keep calm in any situation in the water.